Maranatha — O Lord come! This cry of the early church, especially during times of trial, persecution, and difficulty must be tempered with the reminder that there is a lost world around us — many of whom are dear friends and family. Our passion for the Lord's coming must be equaled by our passion to share his grace with those who have not "come to repentance" and have not changed their lives to serve the Lord who died to bring them life. Until he comes, let's commit to do his work of bringing others to repentance and salvation in him. 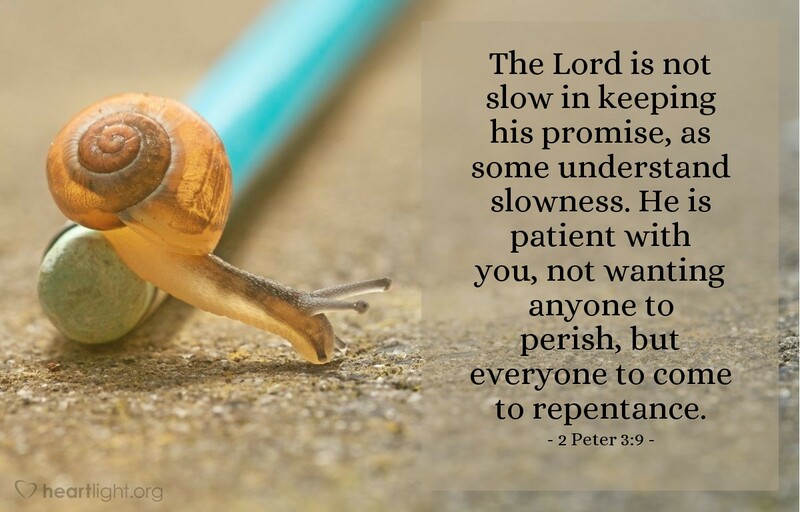 O great and patient God, please use all of your power and grace to bring my loved ones and dear friends to repentance so that when Jesus appears they can share in my joy and your salvation. In the name of Jesus the only Savior I pray. Amen.